Whether it is high end finishes, your own personal vacation spot at the pool or the incredible view from your apartment, at The Residences at Harlan Flats you can expect the unexpected. 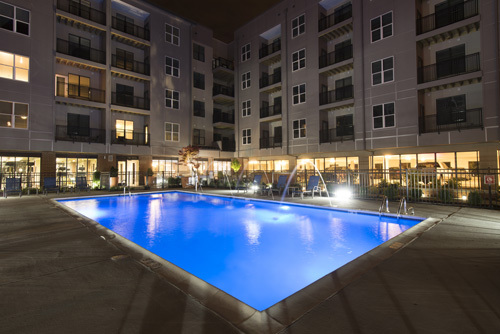 This is not simply an apartment community it is a lifestyle. Catch a flick at the IMAX theater, enjoy dinner on Iron Hill’s patio and then dance the night away at Firestone or Kooma. Or if you prefer, enjoy a night in. Play some pool in the club room, run a couple miles in the gym or catch up on some work in the business center. Traveling to different cities is a breeze with the Amtrak/Septa station a short walk away. Enjoy a carefree city meets riverfront lifestyle with all the amenities you have come to expect and much more!